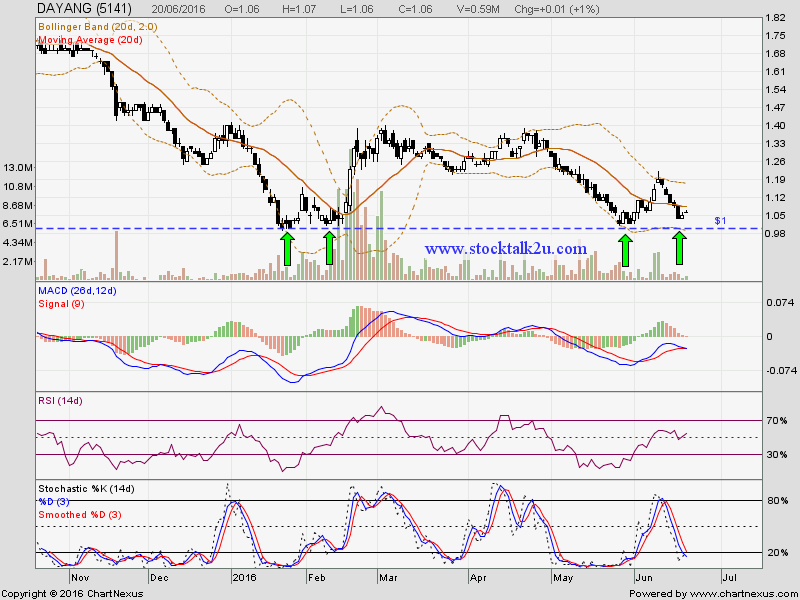 DAYANG retest RM1.00 strong support level. Will it form "W" pattern & kick off strong rebound? 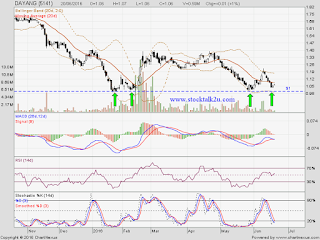 MACD trade at negative region, downtrend itinerary. Stochastic %K already trigger BUY call, pending confirmation.